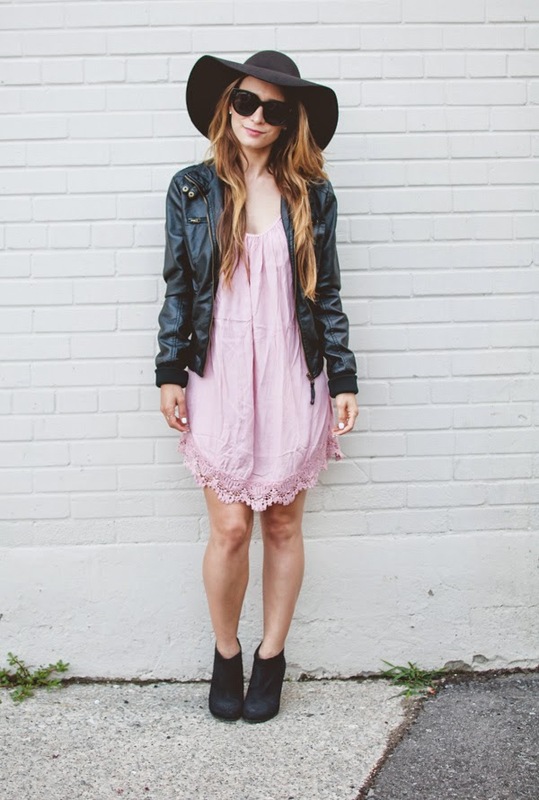 August 2014 | La Petite Noob | A Toronto-Based Fashion and Lifestyle Blog. When I first started this list, I was in a very different place in my life. First and foremost, I hadn't even started blogging yet and was very much an outsider looking in - not only with the countless personal style blogs that I poured over every day, but also with girls that I would see on the street who always looked to polished and put together. My confidence in my own personal style was lacking, and I was always curious to know how these bloggers and fashion girls could look so effortlessly chic. Naively, I deduced that these style mavens must spend all of their money on their wardrobes and only wear outrageously expensive designer clothing and accessories. At the time, I thought that money was the key to dressing well and if I wanted to join the ranks as a person who could confidently put an outfit together than I would have to be prepared to shell out some major coin. Unbeknownst to me, I was totally focusing on the wrong part of that thought and completely skipped over the most important part of personal style - confidence. Fast forward to today, I have been blogging for about eight months now and my humble little lifestyle blog has a definite focus on my own evolving personal style. Slowly I've discovered that it's not about the amount of clothing that you have, or how steep the price tag is, but how comfortable you feel. The girls that I had admired from afar all had different budgets, but one thing was consistent- they walked with their head held high and genuinely seemed to have fun with their clothing. Now I'm not saying that I'm some sort of style guru because I'm most certainly not, but I have learned a lot about my personal style throughout this journey. The biggest lesson being that style knows no price tag. Have I dabbled in some big ticket items? Yes, and those expensive little trinkets are fun to have - but do they make me happier, or make me feel better about myself? No. Definitely not. I will not be purchasing an investment handbag - not at this point in my life anyways, and definitely not because I put it on a list of tasks are meant to enrich me as a person . Right now, I want to spend my hard earned cash on experiences that better my existence and stuff just isn't cutting it for me lately. Instead I would rather spend my money travelling, indulging in delicious meals and spending time with friends and family - and I now know that it does not come as a sacrifice to personal style. What do you think? I would love to know your thoughts and opinions on why I'm bailing on this 30 before 30 task. Happy Thursday, Noobs! I hope you're having a great week, and are experiencing a bit of a heatwave as we are here in Toronto. The weather has been sunny and warm, and it couldn't have happened at a better time - I was feeling as though I was going through a style rut, and was just generally feeling uninspired. Not to worry though, enter the sunlight and all has been cured! Today's look has a bit of a 90s feel to it. I myself came of age in the 2000s, but I do still remember 90s fashion and particularly 90s grunge music - which you can still find me rocking out to violently on my commute home from work. Read on for some more photos and all of my outfit details. Happy Monday, Noobs! 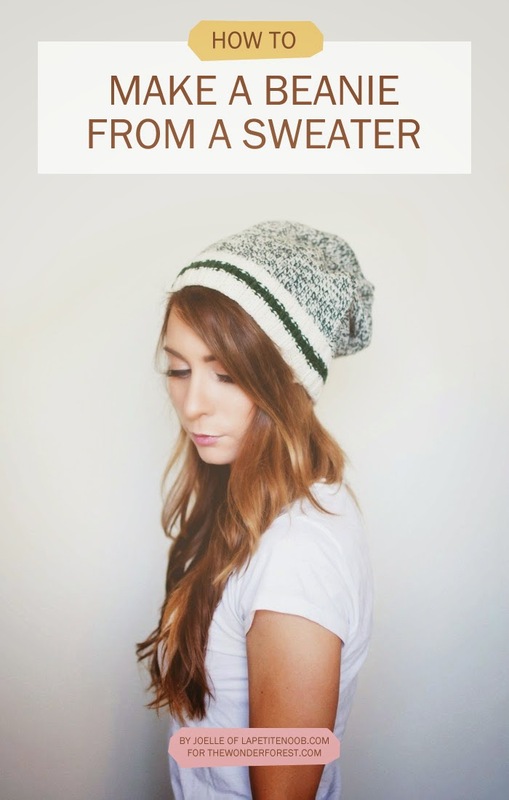 I've got a new tutorial for Wonder Forest on how to turn an old sweater into a slouchy, on-trend beanie - perfect to the summer to fall transition. Check it out and let me know what you think! Here we are, the second last week of August and it's chilly - still sunny, but chilly. Not one to get too upset over Fall's early appearance, I've been having fun slowly easing into fall style while still keeping a light, summery pallet. White is the quintessential summer colour, so what does it matter that it's in a pant rather than a short or a skirt? Besides, after a overindulgent summer filled with patios, desserts and cocktails - pants are actually a welcome (and borderline necessary) change. Add a pair of booties and a floppy felt hat and I'm almost ready to forgive the early departure of summer - almost. 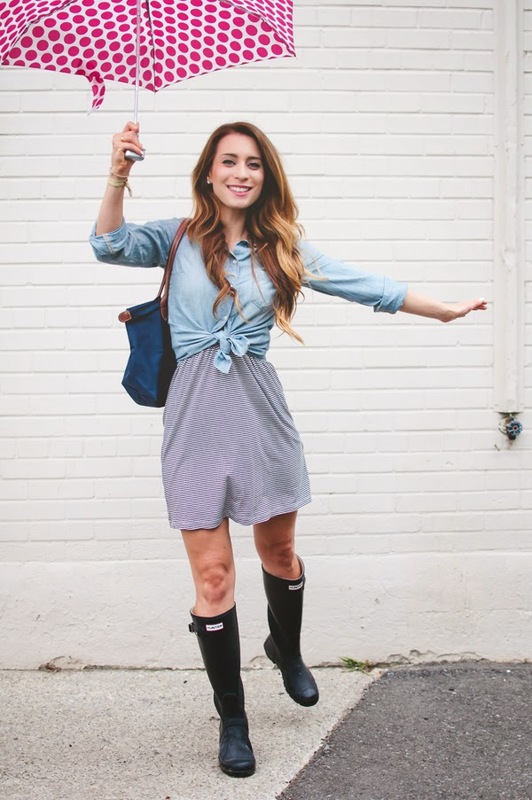 Read on to see a typical outfit for the transition from warm summer days, to chillier weather and all outfit details. Greetings Noobs! I'm sure that many of you had thought that I had forgotten about my humble 30 before 30 list. Well, fear not because lots has been bubbling behind the scenes. I've been trying to map out how to check off a good portion of my tasks before summer's end and I think that I've come up with a concrete plan - at least for a few things. I am not a car person. I love travel, and certainly have an unquenchable wanderlust but traveling by car is definitely my least favourite mode of transportation. I was racking my brain on road trip destinations that I would enjoy visiting and travelling to, and not getting very far until I started to think outside of the box and had a 'eureka' moment. My upcoming trip to Italy includes visiting various parts of the country, including travelling from Rome to the Southern Coast of Italy, and instead of taking a train like originally planned we will now be renting a car and driving. 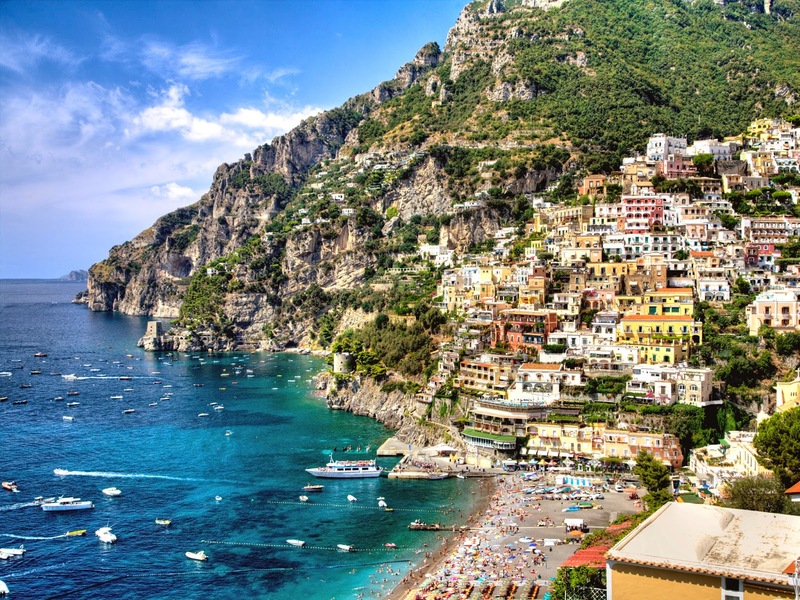 We would leave from Rome and travel by car to Sorrento, Positano, Amalfi (with a ferry to Capri squeezed somewhere in there) and then back to Rome to continue on with our trip. I have to admit, the thought renting a car and driving along the narrow, crooked hills of the Italian Coast gives me nightmares of driving straight off a cliff - but I have been assured that the views and experience will be worth it. Besides it will be my husband driving, thus significantly reducing our chances of ending up in an Italian Emergency Room. I am really looking forward to checking this off of my list and, of course, reporting back with photos and stories of the whole experience! I had mentioned this in a previous post, but I will say it again so that I will for sure stick to it: I will be travelling through Italy for three weeks with only carry on luggage. No checked luggage for this Noob! The challenge will lie in the fact that we will be travelling North through our trip, meaning that I will likely need to bring a wardrobe for both hot and cool weather - a stiff order for carry on only! I feel up to the challenge, and am confident that if I can succeed in this then I can official cross myself off as an expert packer. My most dreaded item on my 30 things to do before 30 list has always been to become a regular jogger. I used to love jogging in my University days, and tried to get out for a run at least every morning - sometimes jogging twice a day. Those days are long behind me, and with the biggest form of exercise that I participate in lately being getting up to get a drink between HBO episodes, I need some serious help. Well, I am happy to say that today this Noob went for a jog. The route was not long, and my technique was anything but elegant but dammit I was jogging! I have yet to experience the famous runners high, but I know that it will come with time. I'm just glad that I broke my own habits and actually got out there. Now if you'll excuse me, I'm going to soak my battered, out of shape body in a tub of Epsom salts.